Looking for a lawn mowing service in Perth? We do a fantastic job at a fantastic price. Prompt reliable service and beautiful lawns guaranteed. 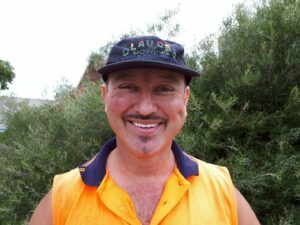 Call Claude today, a professional lawn mowing contractor in Perth. A well-manicured lawn and garden can completely transform the exterior of your home. Whether you are in need of a garden clean up, or some help caring for your overgrown lawn, I can offer professional lawn mowing and gardening services that are right for you. At Claude's Mowing, I will do the hard work for you, so you can enjoy the benefits of a beautifully, well-kept garden, all year-round. With hands-on experience and professional tools, I can help take the stress out of maintaining your garden. To help keep your yard looking its best, I offer a range of services including lawn mowing, gardening, vertimowing and fertilising. Enquire online for a free quote! With my professional lawn mowing services, you'll soon have the best lawn on the block. I offer both residential and commercial lawn mowing services. Regular pruning of hedges, shrubs and small trees is essential to promote healthy and dense growth. Using professional equipment and techniques, I can help to trim your hedges to create a neat, well-maintained look in your garden. Whether it's a big refresh, or regular garden maintenance, I have gardening and fertilising services to get your garden looking its best. My vertimowing services help to remove the old dead layer of thatch from the lawn, so that the lawn can regenerate itself, resulting in a healthier, greener, more even lawn. Coring or aerating involves perforating the soil with small holes to allow water, air and nutrients to penetrate to the grass roots. This helps reduce soil compaction so the roots grow deeper, producing a stronger, more beautiful lawn. With over 10 years-experience, Claude has the knowledge, skills and professional experience to help you with any lawn mowing or gardening needs. "I've always taken great pride in the work I do, working closely with my clients to achieve the garden of their dreams. I'm friendly, hard-working and I know my stuff, so if your garden or lawn is in need of some care, I'm your guy!"